Father’s Day? City have got you covered! 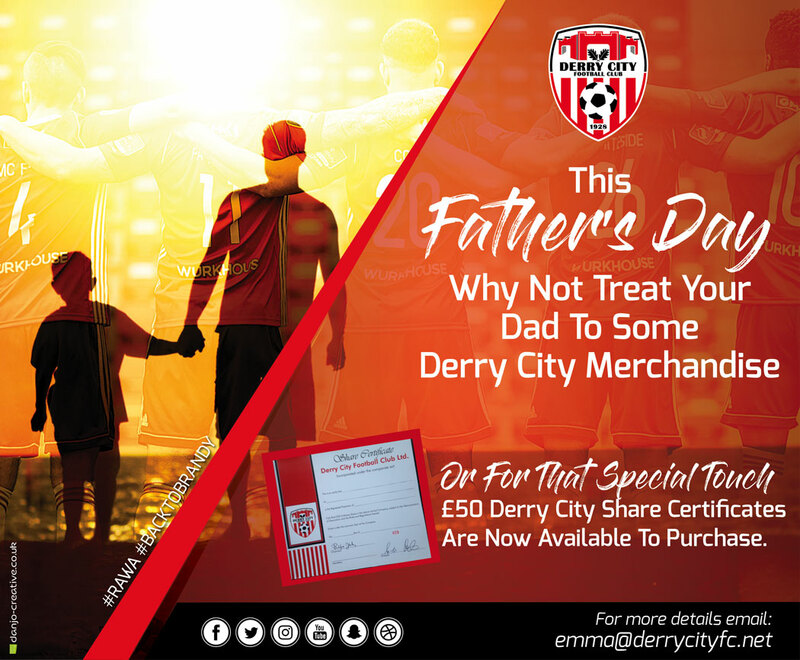 With Father’s Day coming up this weekend, have you got the gift you want for your dad? City have a full stock of merchandise in store and online so we can make sure that he is kitted out for the day ahead. The shop at the Brandywell is open 12-3 Wed to Friday and will also be open during the game against Dundalk on Friday night. With gifts from £3.50 and upwards, there is something for everyone in store, you don’t have to feel obligated to get your dad a Rolex or some other expensive toy every time. We’ve also added the opportunity to purchase shares in the Football Club as a special gift. These can be purchased from the store in the Brandywell this week or can also be purchased online. By purchasing a share in the football club, you can become a part owner of the football club. What better way to show your true commitment to the club than owning shares in the club! Owning a share opens the club up to supporters to share in the responsibility of owning a part of the club and the success and achievement that ownership may bring. As a shareholder you have the right to attend the club AGM, propose motions and stand for a position on the board of the club. With the purchase you will receive a share certificate(unframed) and will be added to the share register. We can post these to anywhere in the world so if you are living away from the city and want to send it to your dad we can facilitate. Or if you want to grab a last minute present, please call into the shop and we’ll be happy to facilitate the purchase!